Wonderlife:1-2-3 has two formulations, Wonderlife-1 and Wonderlife-2&3. These formulations are prepared keeping in focus the biocomposting process, which essentially broken up in three phases, Thermophilic, Mesophilic and Maturation. Wonderlife-1: Comprises of thermophilic and decomposting microbial cultures. These include Cellulomonas, Pleurotus, Actinomycetes, Torulospora globosa, Chactominum globosum, Pseudomonas, Azotobacter and other microbes which effectively decompose the solid waste material in a short period. 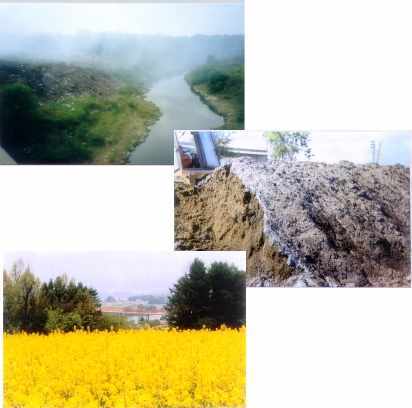 The microbes not only survive the high temperatures but also enhance the decomposting process thereby enabling complete biocompost of the solid waste in a short period. Wonderlife-2-3 is a combination of specialized media dosage, naturally available amino acids and hormones and extracts that not only enhance the complete biocompost mixture but also help to revive and develop the dormant microorganisms to continue the biological activity in the biocompost. This is a crucial stage in biocompost process, because if the biocompost is allowed to cool down without any treatment, there is a possibility of pathogenic microbes growing in it and may cause harmful effects when applied in the field. BENEFITS of Wonderlife:1-2-3 and compost made by the using them.